By Jose Marques Lopes, PhD in Fibromyalgia News Today. Patients with fibromyalgia and patients with chronic fatigue syndrome (CFS) both show similar differences in postural control in comparison with healthy subjects, researchers found in a study. The study, “Lower regulatory frequency for postural control in patients with fibromyalgia and chronic fatigue syndrome,” appeared in the journal PLOS ONE. Patients with fibromyalgia and CFS exhibit a 50 to 70 percent overlap in symptoms, such as pain, and several diagnostic criteria are common between the two conditions. 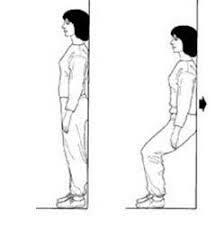 Deficits in balance and postural control have also been reported in patients with these disorders. In this study, researchers set out to investigate similarities and differences in postural sway and the underlying control strategies between fibromyalgia and CFS, compared with healthy subjects in a control group, with the goal of deepening knowledge about fibromyalgia and CFS to better understand the symptoms that appear when pain and fatigue become chronic. They analyzed 75 women — 25 each in fibromyalgia, CFS, and control groups — ages 19 to 49. Investigators chose this age range based on the observation that most patients diagnosed with either condition are young to middle-age women.